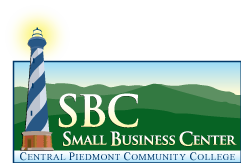 I’m excited to be teaching the CPCC Small Business Center’s SEO class. There’s a lot of bad SEO advice out there and I hope to help some small business owners understand SEO better- whether they will be doing their own search engine optimization or hiring someone else. The class is an expanded version of my introduction to SEO ebook. Don’t Make Me Think, Revisited: A Common Sense Approach to Web Usability is a great book on making sure your website visitors do what you want them to do, when they visit your website. The Long Tail: Why the Future of Business is Selling Less of More is a great book about understanding marketing in the digital world and can help you understand how to find your niche in that market. The Non-Designer’s Design Book is especially helpful for people who have to do their own design work (this is a link to the forthcoming edition- which I assume will be as excellent as the previous ones). Thank you very much for the news, I’ve been wanting to enroll in these courses!